New Delhi: India has changed the dynamics of sea-warfare in its vicinity and test-fired a long range nuclear capable missile launched from an underwater platform to practice a missile launch from a submarine. 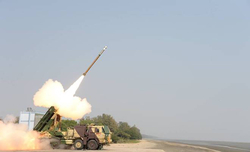 The missile that has a range of 3,500 kms was yesterday successfully fired in the Bay of Bengal but was tested for a range of some 2,400 kms, so far the farthest reach of an underwater launch capability that India has displayed. Hindi magazine ‘Defence Monitor’ last year in an interview with DRDO chief Avinash Chander had quoted him saying that India is developing K-4 long range nuclear capable ballistic missile. India’s ability to launch a nuclear-missile from land is the 5,500 kms range AGVI –V. Defence Ministry sources confirmed success of the launch. Sources said the missile fired yesterday was the ‘B-04’ that is also known by its other code the ‘K-4’. The other underwater missile the ‘B-05’ has a range of 700 kms and its development trials were completed in January 2013. 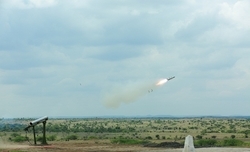 During the test the missile flew at hypersonic speed. The ‘K-4’ can be maneuvered through the air to dodge making it very difficult to shoot it down. The next missile planned by New Delhi is the K-5 which will have a strike range of nearly 5,000 km. Yesterday’s test also explains why India, a few days ago, refused permission to China when it asked to send its warships into the Bay of Bengal and the Andaman Sea to look for the missing Malaysian airliner. 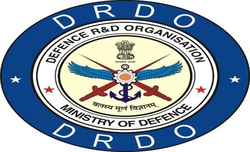 The K-4 is one of the most ambitious projects of the Defence Research Development Organisation (DRDO) and is under wraps for years. Sources indicated that the K-4 missile is about 12 metre tall having a diameter of 1.3 metre and weighs around 17 tons. It is capable of carrying a warhead of around 2 tons and uses solid propellant. This could be one of the vertical launch submarine-launched ballistic missiles (SLBM) in future submarines. The indigenously built nuclear submarine INS Ariihnat, will carry the ‘B-05’. 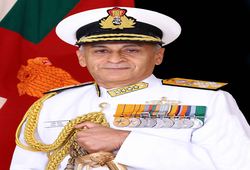 DRDO Chief Dr Avinash Chander had at a press conference on February 7 during DEFEXPO 2014 had said, “For the Arihant as on today we are talking only the K-15 systems, the long range next generation missiles will be integrated on the system later.” The ‘B-05’ missiles will be a part of the Sea trials of the vessel schedule to start soon, he had said. Once inducted, the missile will not only complete India’s third leg of the nuclear triad and also be a second strike weapon. A triad means the ability to launch long-range nuclear-capable missile from surface, air and underwater. At present countries like the US, the UK, France, Russia and China have the triad. India has a ‘no-first-use’ policy for nuclear weapons and the development of an SLBM boosts its retaliatory strike capability. The test which was scheduled for September was postponed due to technological developments.